FAILURE:LAB provides a great opportunity to come together with members of your community and crush the stigma of failure. FAILURE:LAB is filled with storytellers and entertainers recounting their most memorable brush with failure. The audience is encouraged to share their thoughts on Twitter using the hashtag #failurelab during the performances between stories. 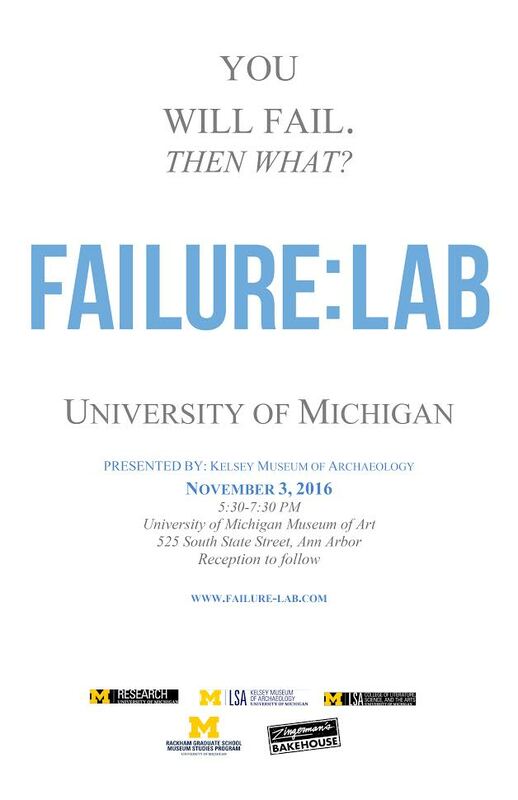 Event organized by Kelsey Museum of Archaeology. Co-sponsored by the Museum Studies Program.